Reason and faith. There is a lot of discussion about this relationship. Saint Augustine said that reason was not necessary, faith would be enough for man. St. Thomas Aquinas recognized the importance of reason to bring man closer to God. André, as I know him, is not a “Thomist”, but he mastered very well this second operation. His book fulfills the interesting role of uniting faith and reason, religion and science. He speaks fluently on biblical passages and on how they would have manifested in the peoples of Ethiopia. By doing so, he traces historical records – something from science – at the same time that he unravels his beliefs in biblical teachings. In this singular work there are references to imperialism, to the World Wars, to African decolonization. We also have precious informations about the presence of cannabis in human history, as well as about healthy eating, not determined by economic-industrial interests. Having a wealth of analysis, André still contemplates us with biographical incursions on Bob Marley, not forgetting to present an explanation on the peaceful and involving rhythm of reggae. But I will say no more, so as not to delay the beginning of this motivating reading. nations : a brazilian perspective / André Duarte P.
Paulo do. II. Avelar, Clayton. III Título. I give thanks to my family, especially to my parents, for the unconditional love. Without them, the materialization of this project would not be possible. In 1920, Marcus Garvey foresaw the emergence of a leader who would redeem black peoples from the aftermath of centuries of captivity, when he warned in a speech to thousands of people: “Look at Africa, when a black king is crowned, for the day of deliverance is near”. White People did not develop slavery, but they associated it with the black color of the skin, as they justified it with racist theories that preached the inferiority of the “peoples of color.” Whites oppressed blacks to “civilize” and “Christianize” them, even feeling that they deserved privileges and comforts in reward, to be obtained through the control and exploitation of peoples and lands. Garvey dedicated his life to build up economic, political and cultural redemption for black peoples, and became the first Jamaican National Hero. Rastafarians consider him a prophet, for the coronation of Ras Tafari Makonnen as Emperor of Ethiopia, in 1930, was interpreted as a materialization of his words. Tafari was crowned with the title of Haile Selassie I, which means “Power of the Trinity”, and was acclaimed as “King of Kings, Lord of Lords, Conquering Lion of the Tribe of Judah, Root of David, Elect of God and Earth’s Righteous Ruler”. Tafari descend from Menelik I, son of King Solomon with the Queen of Sheba. It was through this union, commented in the Bible (in the book of Kings), in the Koran (in the Surah Sheba) and in the Kebra Negast (sacred book that presents the Ethiopian national saga), that Ethiopia inherited Hebrew’s blood and traditions. At the time of his coronation, the world was going through a period that white history identified as Twenty Years of Crisis, characterized simultaneously by unprecedented levels of unemployment and inflation, especially since 1929, with the Great Crisis in the United States. This atmosphere stimulated Italian imperialism as Italy invaded Ethiopia for the second time. Selassie, however, prevented Mussolini’s fascism from settling there, and Ethiopia remained as the only African nation that was not colonized by whites. In Jamaica, which was still an English colony, blacks attentive to Garvey’s words saw Ras Tafari as their redeemer, the one who would deliver them from the oppressions of Babylon. They came to identify themselves as Rastafarians, followers of the Lion of Judah, the only being worthy to face the Book of Life and untie the Seven Seals that locked it in order to reveal the mysteries of the Universe (as described in the New Testament of the Bible, in the book of the Revelations of St. John). After the Second World War, the decline of white neocolonialism led to decolonization processes in Africa and Asia. Haile Selassie I, who remained in power until 1974, visited several countries inhabited by peoples of the African diaspora such as Brazil (in 1960) and Jamaica (in 1966, four years after the island’s independence). He promoted and supported panafrican policies, such as repatriation to Africa, reparations, cooperation and integration of black peoples, and was one of the main proponents and enthusiasts of the creation of the African Union. When several countries of the continent became independent, they started to use the Ethiopian colors in their own flags. It was in the 1960s that the message of the Rastafari movement started to spread throughout the world through reggae. Especially through Bob Marley, this musical rhythm, identified as Music of the Kings, charmed varied audiences and proved to be a powerful tool to transform vibrations, ideas, and attitudes of the oppressed. By demanding equal rights and justice, Rastas compose songs that denounce Babylon, identified as a socially and environmentally oppressive system. Naturally, reggae can be seen only as a musical rhythm, but the essence of this militant and liberating art is more than an instrument for entertainment or profit. Since the internationalization of this message depends largely on the access to the English language, we seriously considered doing this work as we realized the growth of interest in Brazil by the vibrations of reggae and the scarcity of publications in Portuguese about Rastafari, which ends up favoring superficial views about the movement and hampers the spread of fundamental understandings about it. Through reggae, Rastas denounce racism, imperialism, social exclusion, the unsustainable exploitation of natural resources, and promote universal love and respect for the laws of nature as an alternative to heal humanity. The struggle of Rastafarians meets the democratic struggles of peoples around the world, inspired and willing to free themselves from any kind of oppression. This study, which results from around 20 years of researches, dialogues, experiences and reflections, does not intend to be an exhaustive account of an immense subject matter as Rastafari. Rather, it conveys, in a light, fluid and accessible manner, indispensable perspectives for an introductory view about this movement, its relation to reggae and how it arrived and developed in Brazil. 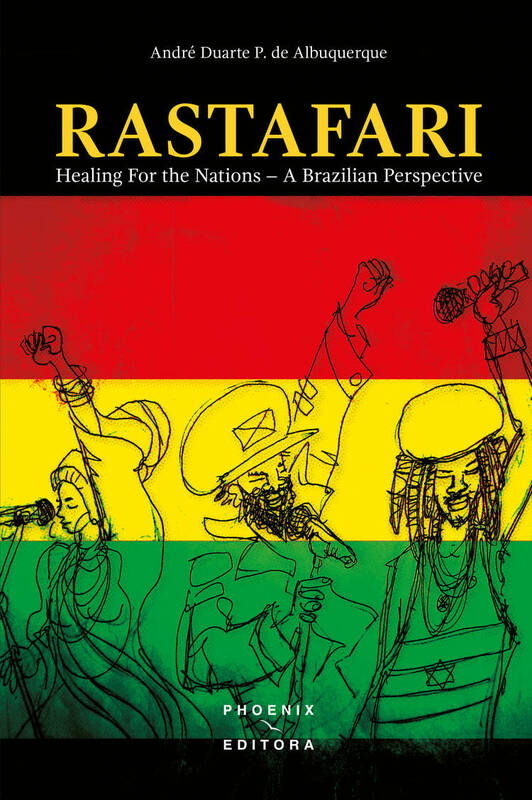 To this end, we combine informations about the Rastafarian way of life and reflections on the historical moments in which the events reported or analyzed occurred, with global and Brazilian perspectives. Naturally, this task involved combining objective (scientific) and subjective (mystical) elements. In order to prioritize reading fluency, we avoided academic references or footnotes. For those who wish to go in depth, we present in the Bibliography works that were researched during the elaboration of this text. In addition, nowadays, one should always take advantage of online search possibilities, to compare information or different interpretations on any subject.